The Winter Olympics may not be the first thing people associate with technology. However, with icy conditions, slick surfaces and freezing temperatures, technological innovation is especially important for those involved in the Winter Olympics. From 5G drones to $58,000 eye-movement tracking goggles, check out some of the many advances in technology the Winter Games have inspired. 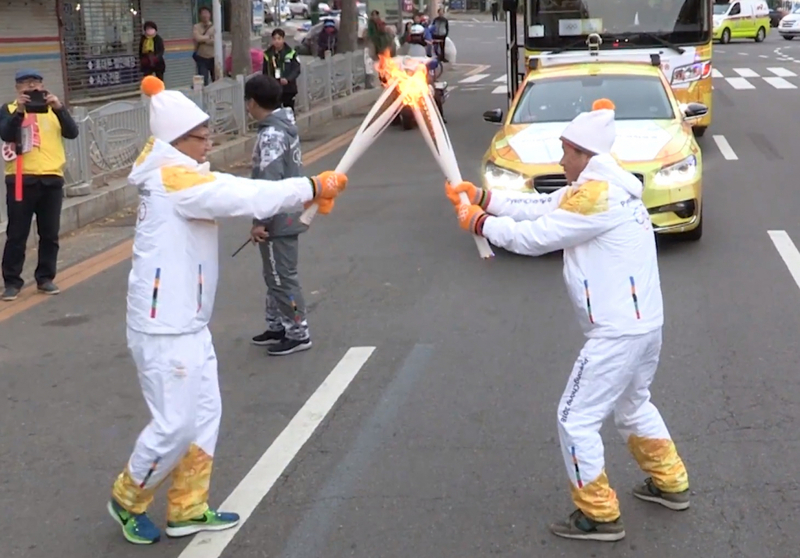 The torch is a well-known symbol for the Olympics and instrumental in the winter ceremonies. To keep it lit in all weather conditions, the National Research Council of Canada developed a special Olympic torch during the 1988 Winter Olympics. Designed to be especially lightweight, the torch was powered by a special fuel in order to ensure that the flame would stay lit in all weather conditions. In 1950, American engineer Howard Head introduced an aluminum-alloy ski that made turning much easier for skiers. Emile Allais, a former world champion skier from France, used Head’s advances to design a riveted aluminum ski. At the Winter Olympics in 1960, Frenchman Jean Vuarnet won the downhill gold medal on Allais’ ski, and the metal ski gained instant credibility among world-class racers, coaches and dealers. Head kept working on his ski in order to reduce vibrations in the metal, and earned international respect when the Swiss national team began using Head skis in 1963. In the 2002 Winter Olympics, instant video replay technology made its debut in the game of figure skating. A scandal involving judging misconduct in the pairs skating competition led to the replacement of the traditional 6.0 scale with the less subjective International Judging System. Under the new system, a technical specialist uses instant replay to identify and evaluate each skating element such as the exact foot position in takeoff and landing of a jump. Judges then review the video to confirm the technical analysis and come up with a final score.